Zimmermann is a 2017 Rockefeller Foundation Policy Fellow. He is currently visiting their Bellagio Center to execute research, engage in discussions and provide seminars and lectures. On 4 October 2017, Zimmermann gave a paper at the Rockefeller Foundation Bellagio Center on “Challenges of Migration Policy Advice“. 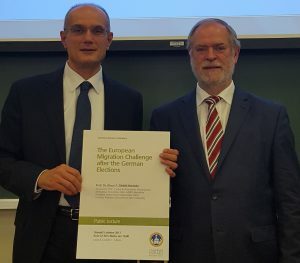 On 5 October 2017, he provided a public lecture on “The European Migration Challenge after the German Elections” at the Università Cazzolica del Sacro Cuore, Milano. The Rockefeller Foundation Bellagio Residency Program offers distinguished academics, artists, thought leaders, policymakers, and practitioners a serene setting conducive to focused, goal-oriented work, and the unparalleled opportunity to establish new connections with fellow residents from a wide array of backgrounds, disciplines, and geographies. The hospitality and impact of The Bellagio Center in Italy has been legendary. 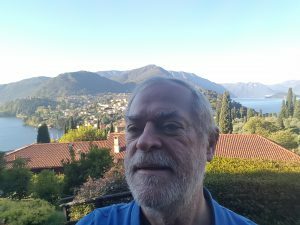 Klaus F. Zimmermann, UNU-MERIT, Maastricht University and Bonn University, Founding Director of IZA/Bonn, has been granted Rockefeller Foundation Policy Fellow to visit the Bellagio Center in September/October 2017 to execute his research and discuss it with his fellow residents. Zimmermann, who is also the President of the Global Labor Organization (GLO), works on migration and global labor economics. 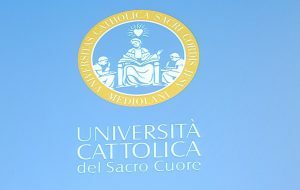 Zimmermann at the Università Cazzolica del Sacro Cuore, Milano, with GLO Fellow Marco Vivarelli, Professor and Director of the Institute of Economic Policy of the Università Cattolica del Sacro Cuore, Milano. On 5 October 2017, after he provided a public lecture on “The European Migration Challenge after the German Elections“. Zimmermann with view from the Bellagio Center of the Rockfeller Foundation. There, he gave a presentation on October 4, 2017 on “Challenges of Migration Policy Advice“. See for further pictures.